“Boron?! More like Boreon, right?” Thus was revoked this writer’s music-reviewing license as the authorities at the Central Office realized I had intentionally paraphrased a Billy Madison joke, replacing “chlorophyll/boreophyll” with “Boron/Boreon,” a stupid, ham-fisted attempt at jocularity that falls even flatter as I continue to type it into oblivion by explaining it. I am the Adam Sandler of music writers. Somebody pull the plug on this laptop. As much as Billy Madison was a dimwitted tool for suggesting learning about something new was stupid, I, too, am an unmitigated disaster for reshaping Boron to Boreon, as Dan Nelson’s output under a litany of chemical signifiers – including Freon and, uh, Elron – is consistently engaging from one release to the next. Here, on his Tymbal Tapes debut, Nelson transitions from Boron to Argon like a nonmetal to a noble gas, on paper an impossibility (probably – my chemistry’s super rusty; there’s something about ions or isotopes in there, and going from atomic number 5 to 18 probably requires some kind of act-of-God molecular interference), but in pseudonymical terms, Nelson makes it look easy. “Mirages” is a non-split split between Nelson’s two aliases, an anomaly relegated to official tracklists and Jcards. The music itself flows as a cerebral whole. As is his typical terrain, Nelson, navigates a synthesizer bank set permanently to “billowing,” hewing closer to those noble gases and hovering in the atmosphere until pressure causes them to condense and oscillate, agitating for a few moments before drifting apart once again on their way through the ether. Tones and moods change ever so subtly throughout, and “Mirages” as a zoomed-out whole takes on soft, pastel hues through the synesthetic processes recorded by your brain. 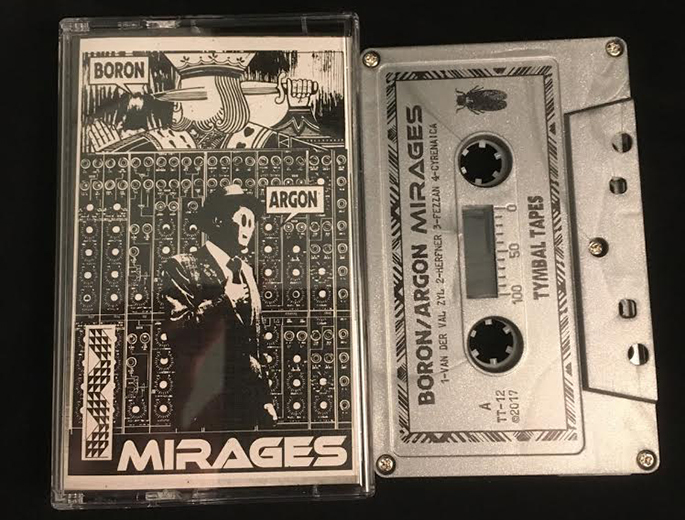 Don’t be fooled by the b/w cover art or slate-gray tape (although they are both unapologetically gorgeous) – Boron/Argon is filled with color and texture, radiating outward to cover the earth with its sonic particulate. 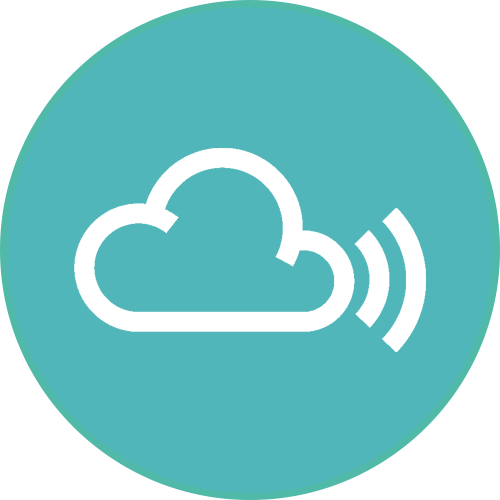 Think of it as helpful pollution, restorative vibes penetrating the cells of every living organism, not remotely like the lung-busting amounts of carbon dioxide continually pumped into your system. It’s like the opposite of living in Beijing. Probably. Released May 5, 2017, right here on Tymbal Tapes, this lovely catalog item “features pro-dubbed chrome tape housed in metallic silver shells, and double-sided 3-panel j-cards printed in black ink on luxurious antique gray linen.” The edition of 75 will probably go quick.